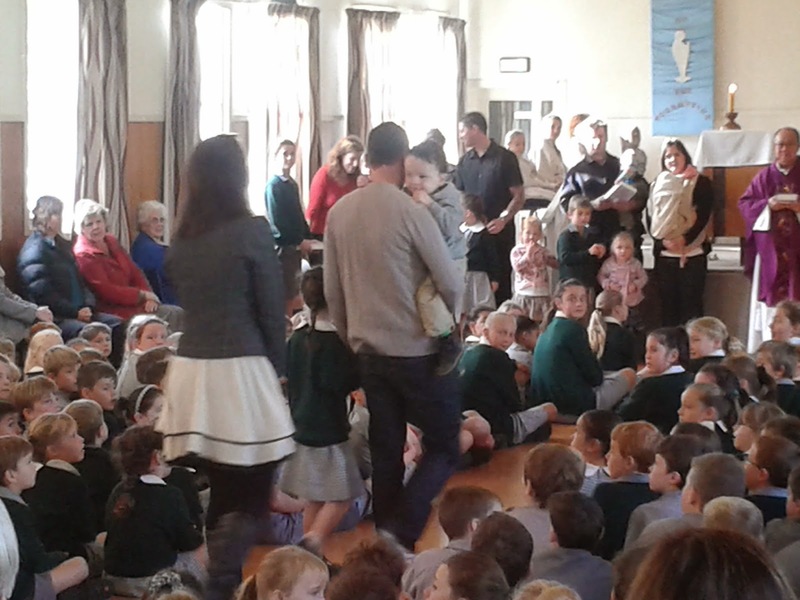 Well, if that was Week 7, we've had it. 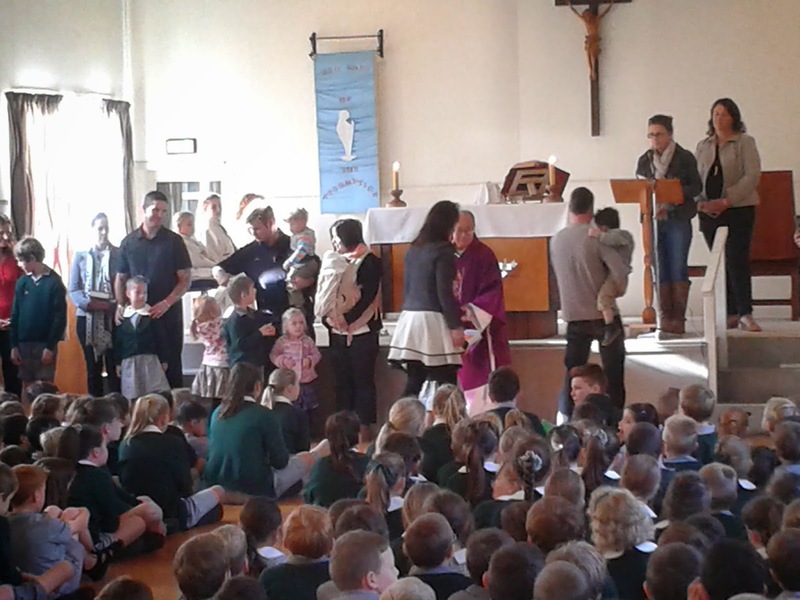 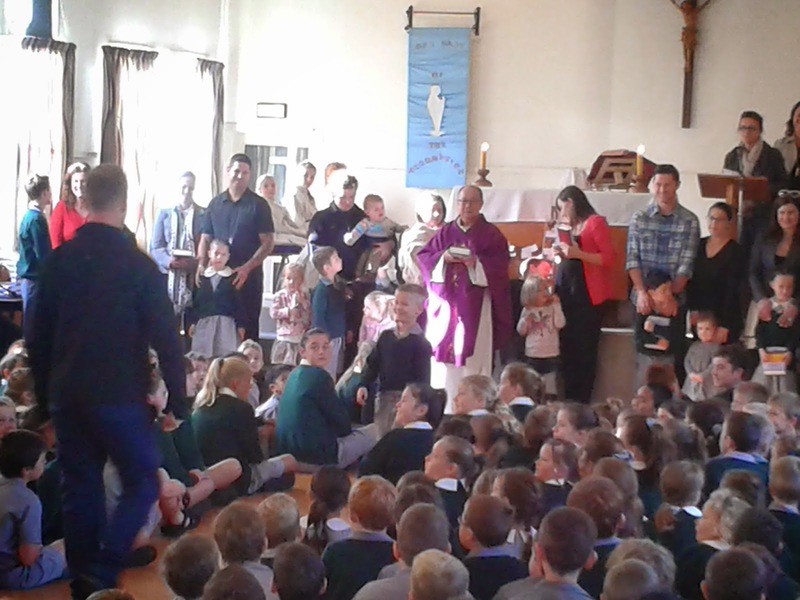 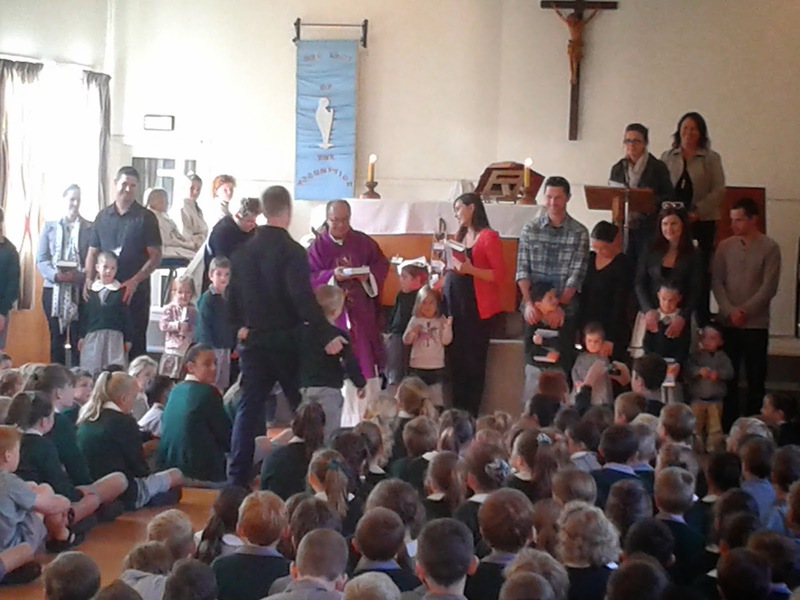 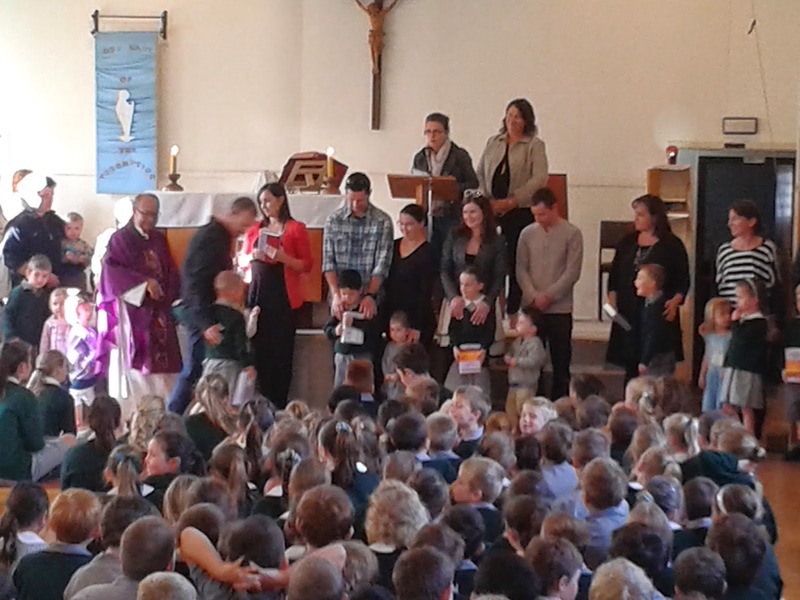 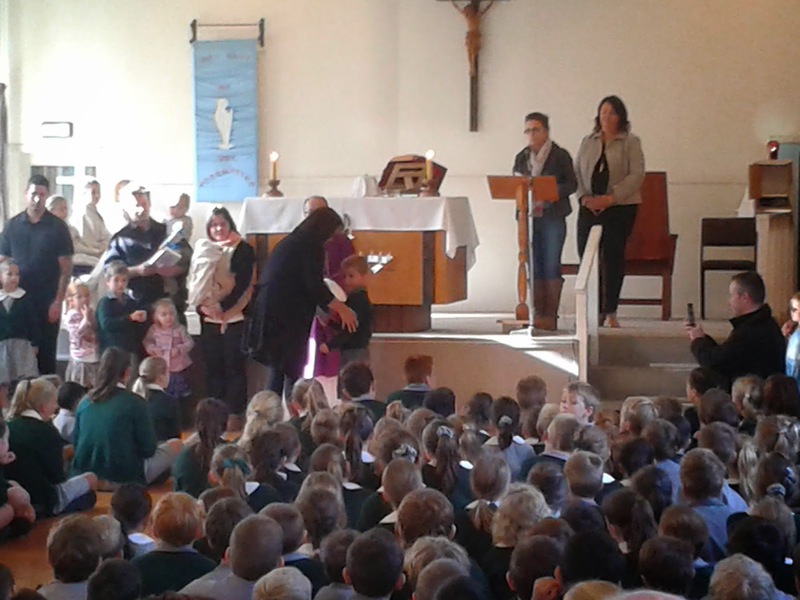 This morning we started with a lovely wee Mass to give out bibles to families new to the school...sorta. 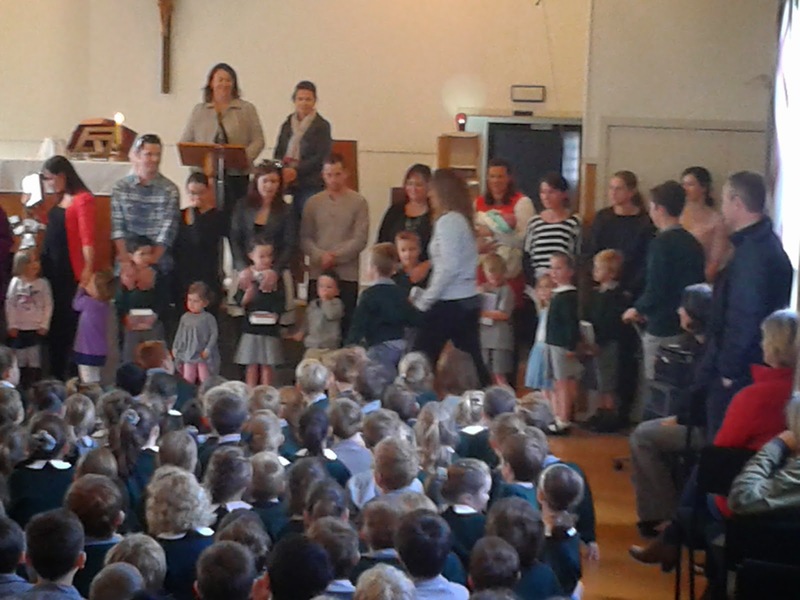 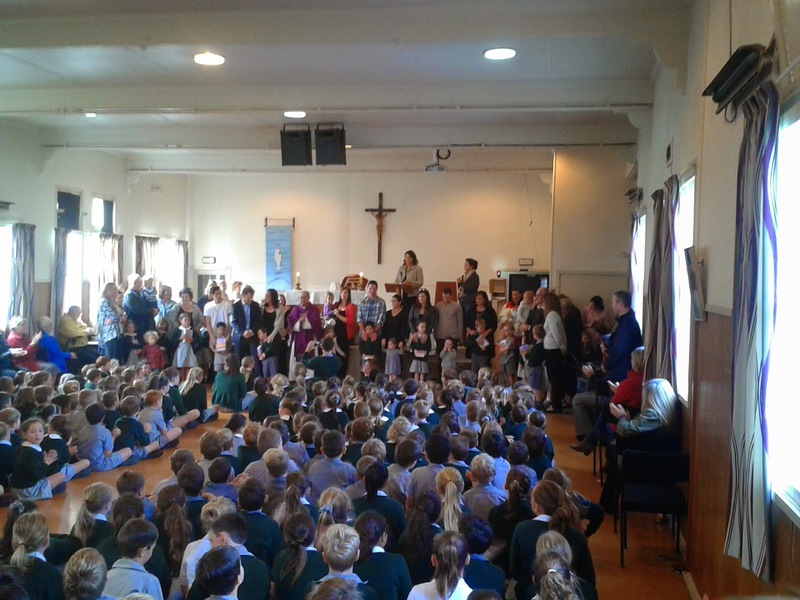 Instead of giving bibles out to the Year 8s as they leave, we're now giving them to the Year 1s as they start. 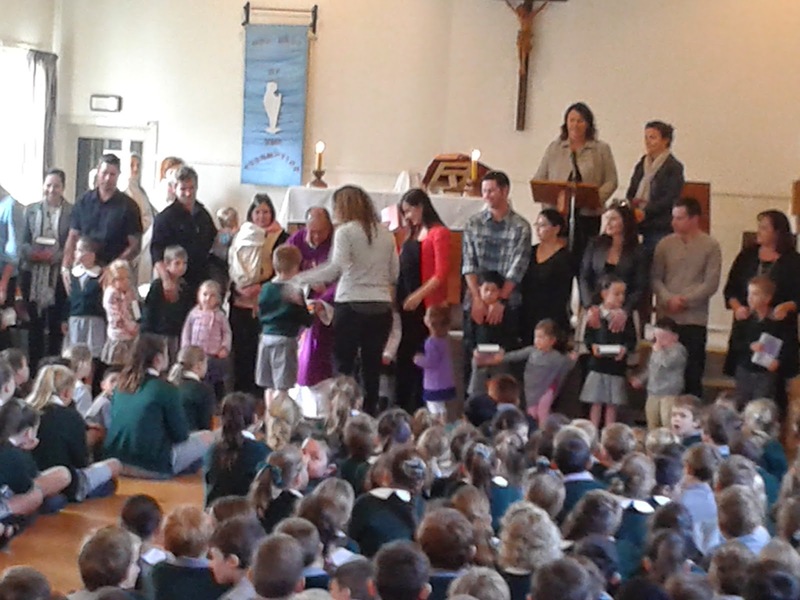 Including four of ours.